our productive process and finally got ISO 9002 certification in 1999. Nevertheless,we made great strides to pass the audit of ISO 9001 last year. 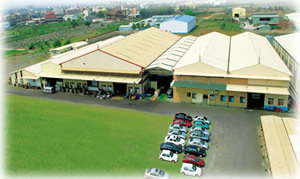 Further more we passed the TAF Testing Laboratory in 2005 and earned the LRQA ISO/TS 16949:2002 certificate in 2008. Apart from this, our company focuses on developing new products especially in the R&D department. For example, the above-mentioned Cone point Set Screw and the Slotted Set Screw were developed in 1995 and 1998 respectively. (patent no. ZL 01208933.8 ), U.S.A (patent no. 6220805B1).